For those who are curious, this is the studio of sculptor Robert Mihaly. This house has been put on the market just recently. This would be a cool place to live. 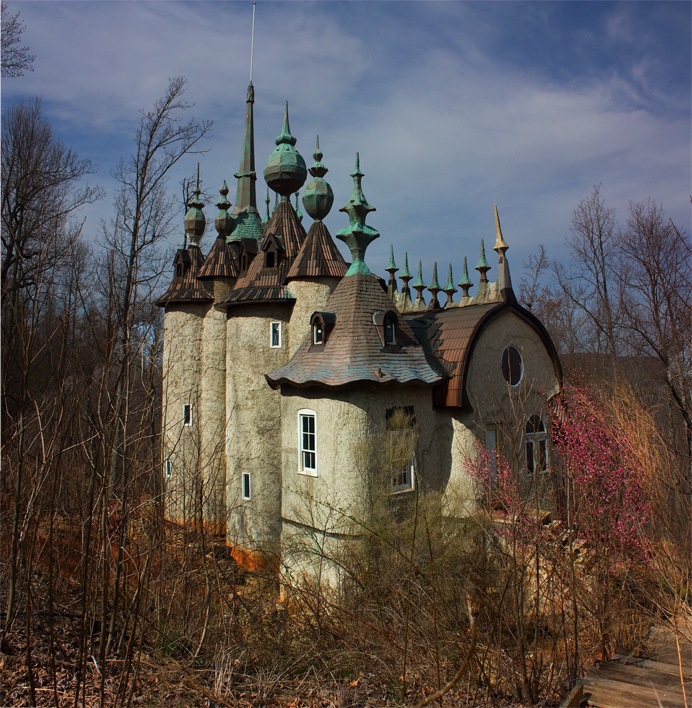 Sculptor Robert Mihaly began constructing his Castle Mont Rouge in 2005 but for whatever reason (the lore of the Internet says either because of his wife's death or his divorce) he never completed the structure. Mihaly launched a very eccentric but unsuccessful Kickstarter campaign to preserve the castle in 2014, promising titles of nobility (among other chivalrous rewards) to those who donated to help achieve his goal of $65,000 (he fell flat with only $12,763).